Long distance is considered any out of state relocation or a move with a radius of over 100 miles. 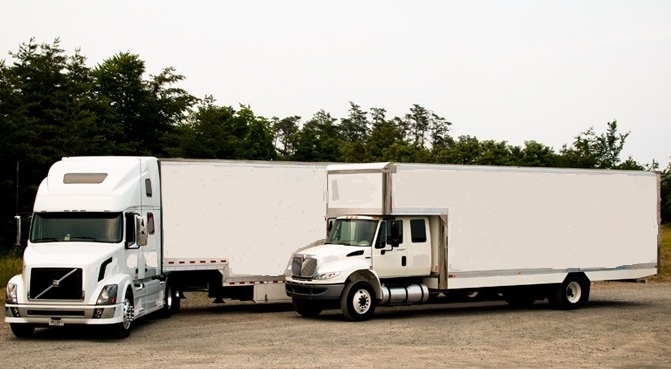 The cost of the long distance moves is based on the distance and the size of the shipment. The size of the shipment is unknown until the truck is weighed. However, there is a way to receive a guaranteed price for your shipment. You must oreder an onsite estimate from a few reputable companies. The estimators will go over your items with you and take a detailed invetory of your goods. Then they will transfer this information into a moving softeware program, which in turn will determine the size of the shipment with in 5% accuracy. They will apply a tariff to the weight of the shipment and will come up with the transportation cost. Moving specialist will take to consideration any special or additional services you may need, such as shuttle, hoisting of articles, packing and unpacking, cost of packing materials. All costs will be added up and the estimate will be provided to you. Binding estimate is a guarantee of moving costs. In case there are additional services required after the job is commenced the movers will provide you with a new order for service form, which will describe new services and their costs. You will have to sign that form and keep a copy of it for your records. The new order for services will be the new guarantee of costs. It is helpful to let movers know of any special circumstances you know of ahead of time to avoid last minute surprises.